Easter Traditions In the USA by State - What Is Your State Googling? This Boy Had To Run For His Life. But He Refused To Leave HER Behind! 30+ ‘Eggstraordinary’ US Easter Traditions by State – How Does Your State Celebrate? Easter is a celebration of faith, family, and new life. With so many different regions in the U.S., we wondered how Easter Traditions might vary by state? As the most important holiday in the Christian faith, Easter marks the celebration of Jesus Christ’s death and resurrection. Christians believe that through Jesus they may have salvation from their sins and will spend eternity reunited with God. Having Easter as a faith-based holiday doesn’t mean that many Christians don’t also mark the day with Easter baskets and egg hunts. Those who are not religious may see Easter as a reason to gorge on chocolate bunnies and marshmallow peeps. For them, it’s a holiday celebration complete with family time and enjoying the arrival of Spring, focused on the feelings of rebirth or renewal of life! That got us thinking – how are traditions celebrated in different parts of the country? We sourced the internet and found the highest-ranking Easter-related Google searches by state. 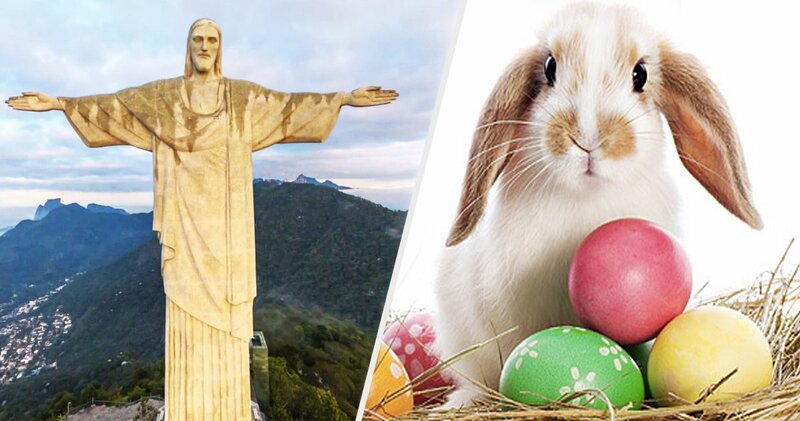 Check Out These Easter Traditions to get you in the mood for the Spring holiday! 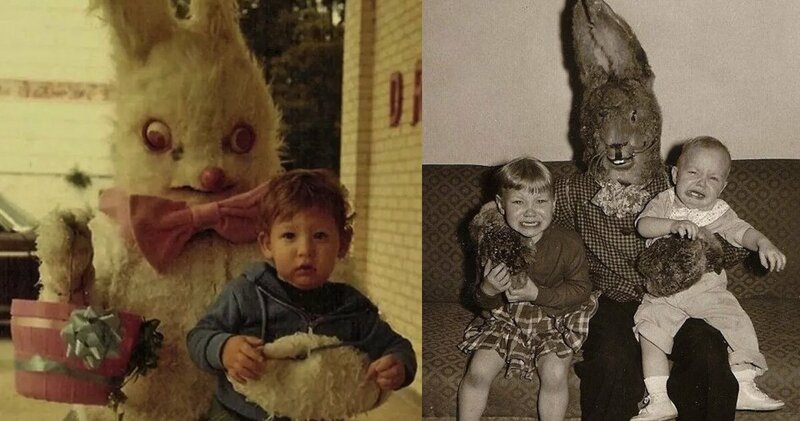 Wondering how Easter baskets got their start? Easter is always celebrated the Sunday after the first full moon of the Spring Equinox. This time was always marked by farmers as the start to Spring seeding. Their seeds, brought in baskets, were a form of blessing in their lives. Add in the religious tradition of observing Lent (the 40 days of fasting or abstaining up to Good Friday). When the Lenten season was over, Christians would place their Easter feasts in baskets that they would take to be blessed by the priests. Searching for Easter basket ideas isn’t just folks in Alaska. However, our northern neighbors obviously respect a little online inspiration to make those baskets stunners! They come in all shapes, sizes, and recipes! 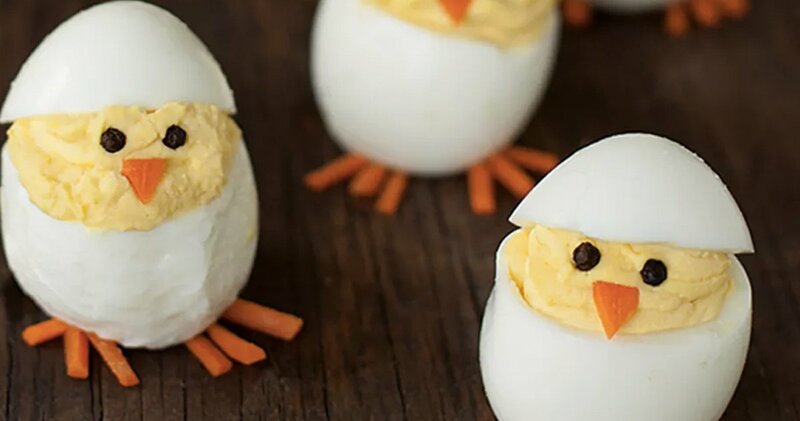 Apparently folks in Alaska are ever-curious about how to make the best deviled eggs. As sourced by their online searches, this is their most pressing question at Easter! If mixing mayonnaise, mustard, and eggs isn’t for you, perhaps this sweet, jiggly version of the old classic will hit the spot. The molds can be purchased inexpensively online, making this one easy recipe to master for the holiday! Perhaps not the warm and fuzzy feelings that we typically think of with Easter, apparently in Arizona the rabbit meat industry is growing. What this has to do with Easter we are unsure, but it seems that Arizona is caught up in their own version of the “bunny craze”. Easter being a Christian holiday means most music connected to it is faith-based. There are a few songs that bring a bit of Easter nostalgia which are non-religious in their theme. “Peter Cottontail” and “Easter Parade” are the two main ones that come to mind. The first was made popular by children’s rhymes and the second from the movie of the same name staring Judy Garland and Fred Astaire. But for most when asked what their favorite Easter music is, traditional hymns come to mind first: “The Old Rugged Cross”, “He Arose”, “Up From The Grave He Arose”. 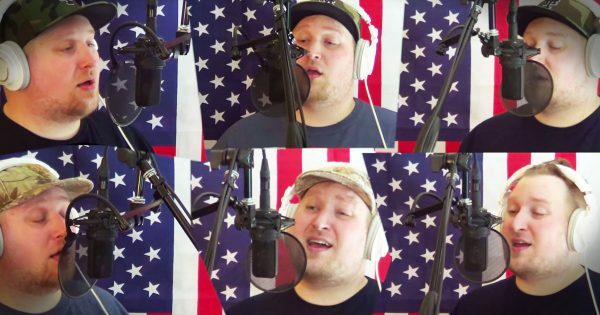 Our personal favorite continues to be “How Great Thou Art”. We particularly love this sweet rendition! 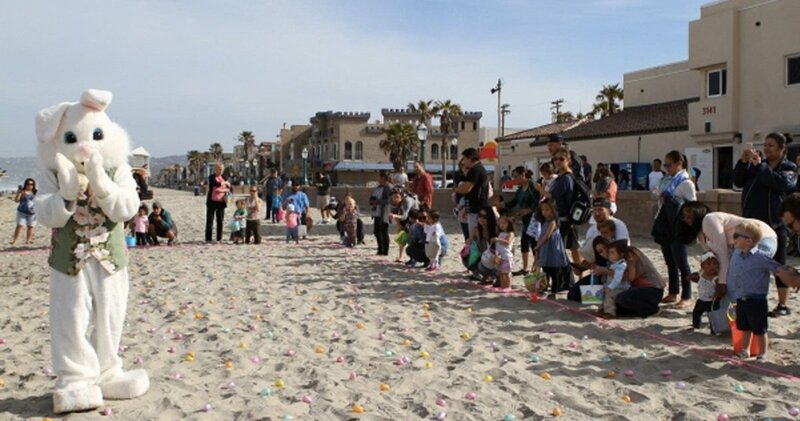 While many cities across the U.S. now boast their own Easter “Eggstravaganza” events, the tradition is heavily based in California. The festival-like events often consist of egg hunts for children, crafts, local musicians and food vendors, and of course, pictures with the Easter Bunny. Disneyland and Knotts Berry Farm are known for decking out their parks and hosting their own Egg-stravagant events. These states are apparently searching for Easter basket sweets that are not only creative but boast healthier ingredients! The chocolate carrots‘ popularity may also be attributed to having been mentioned several home magazines. Their shiny orange wrappers would look perfect as a filler in a basket – and with healthier ingredients – what’s not to love? 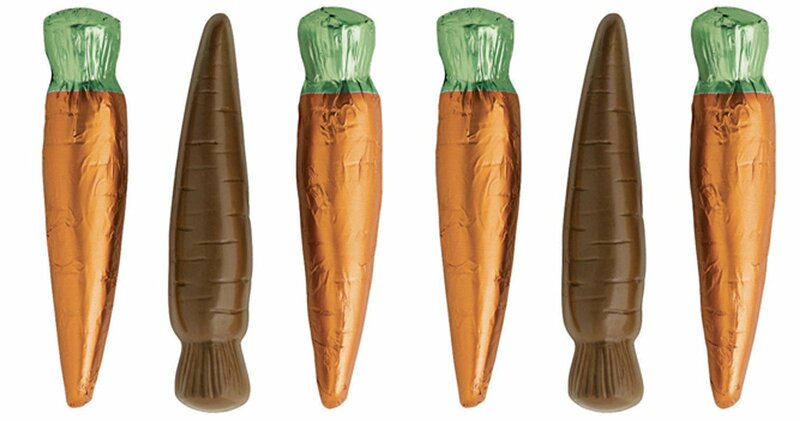 We love these cute chocolate carrots. They are quickly becoming popular in baskets across the country. What’s a chocolate Easter bunny without his chocolate carrot sidekick? 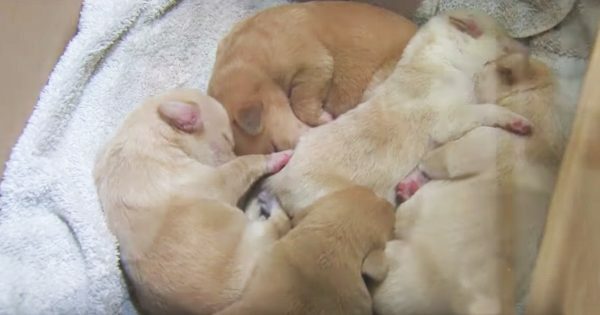 For some, Easter may be more than church, chocolates, and bunnies. 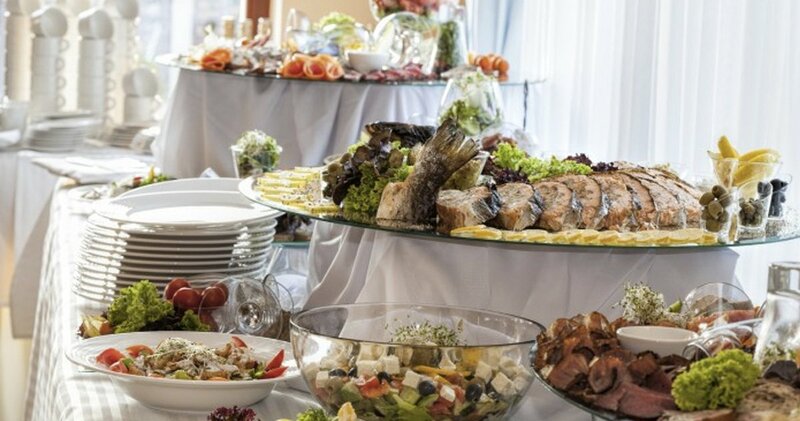 Families may have on-going traditions of Easter brunch and see the holiday as a great time to get dressed up and visit over a special holiday meal. Whether it’s picnic-style in the park, a potluck in the backyard, or a swank restaurant with egg-ceptional offerings, the opportunity to mark a special day with loved ones is not to be missed. Apparently, those in Connecticut and Minnesota agree with us! 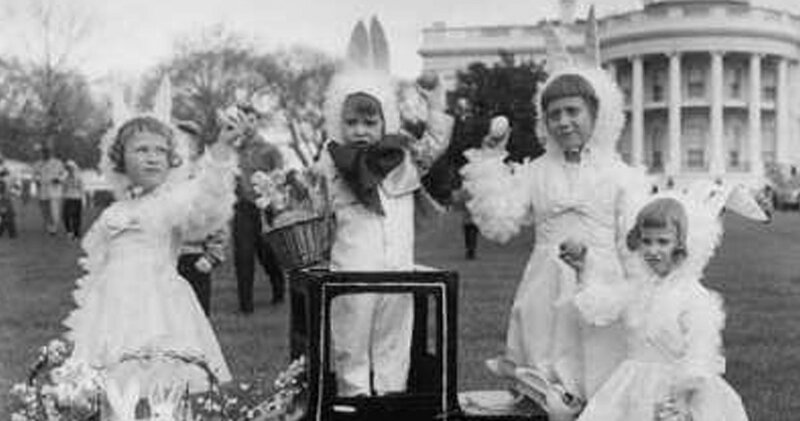 While we are more familiar with the concept of an egg hunt, in 1878, it was popular to roll eggs on a lawn to celebrate! That year, the Capitol green announced it wouldn’t allow the children’s festivities because of the toll the party took on the lawn in years prior. On one of his daily walks, President Rutherford Hayes was asked by the children if they could roll eggs on the south lawn of the White House instead. So moved by their request, Rutherford announced that if children arrived for the egg roll the following day they would not be turned away. The egg rolling tradition continues to this day and is loved by adults and children alike! 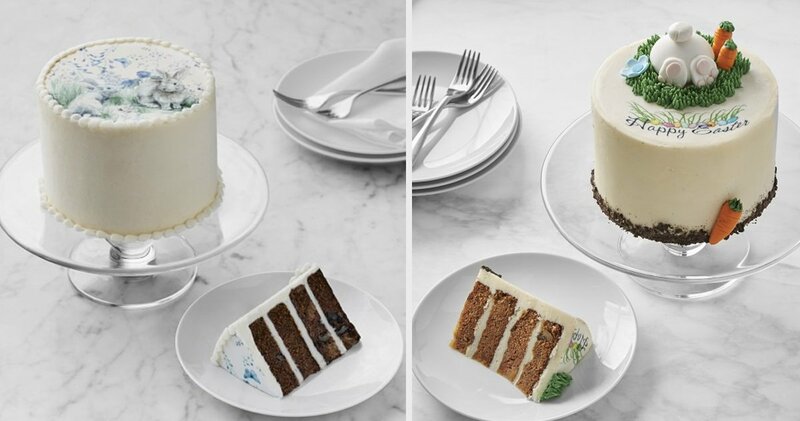 But a little further searching and we found out that William Sonoma offers gorgeous cakes custom made and delivered to your door. 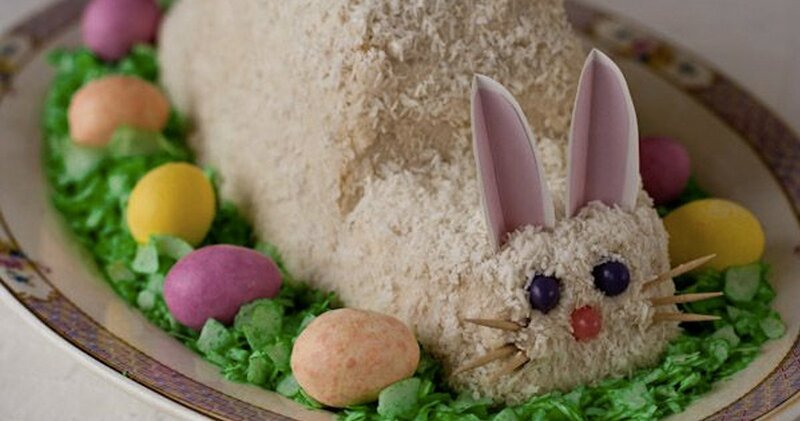 Not only that, but they specialize in Easter “bunny cake” made by Florida’s own We Take the Cake bakery! These cakes are completely stunning and a great way to offer something truly special for your Easter family celebration. Ham has always been a staple in the American diet. Dating back to the 18th century before modern refrigeration, meat was typically slaughtered in the cooler seasons and the first meat ready to eat in Spring. 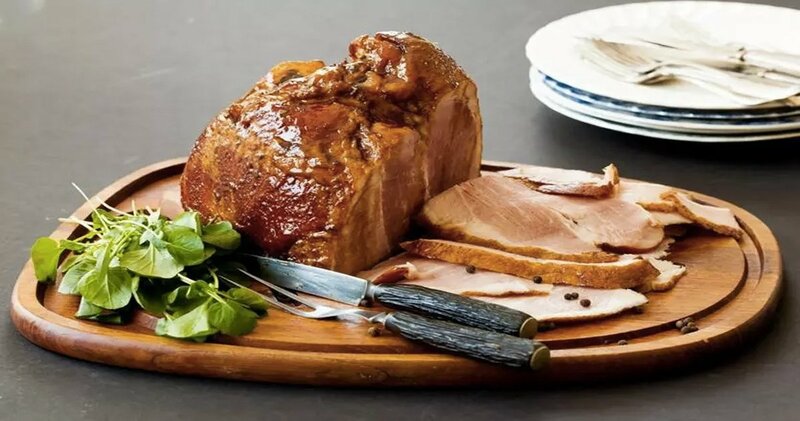 Our love of ham was passed down from German ancestors, and the availability of the staple meat. Unlike much of Europe where lamb is the main course, Americans search for that “other white meat”. Salty versus sweet, bone in versus bone out, there are endless choices in preparation. Our initial thought was that Easter Island doesn’t have anything to do with Easter – but we were wrong! When the remote Polynesian island was “discovered” by Dutch explorer Jacob Roggeveen, it happened to be on Easter Sunday, April 5, 1722. 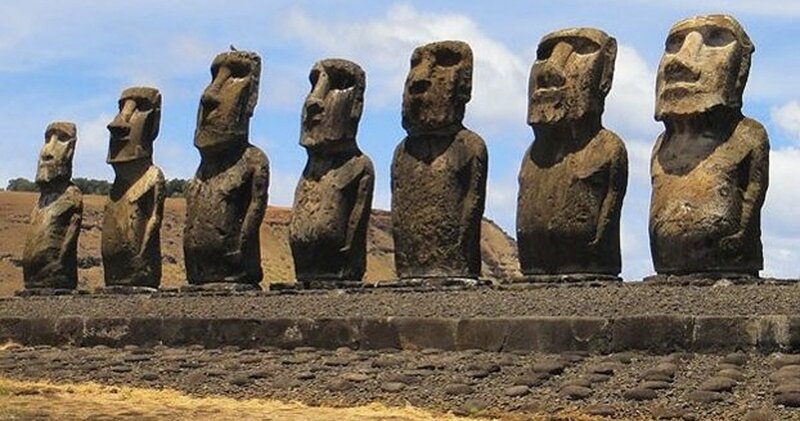 The island is most commonly recognized thanks to the 900 stone figures positioned around the small island. Folks in these states either really like their “finger sandwiches” or they have an abundance of leftover eggs from Easter egg dyeing! 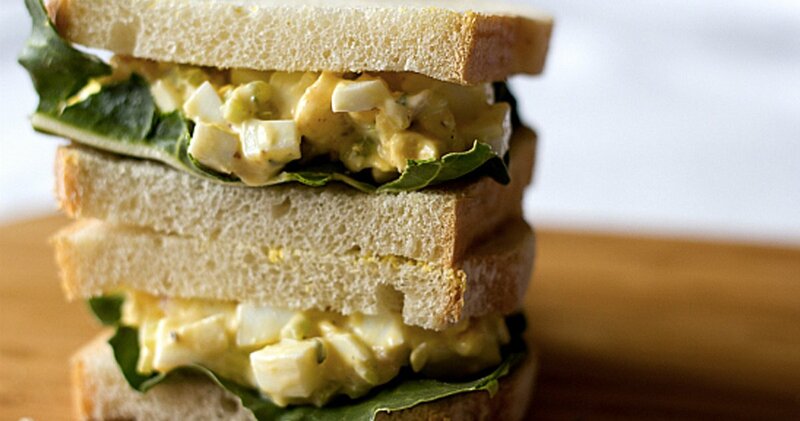 Many have a very definite opinion on whether they like egg salad or not. The debate continues to separate between the “with mustard” or “without mustard” groups and even more will spar over mayonnaise vs. Miracle Whip! Add in the options of adding vinegar, celery, pickles, or potatoes and you may have a war that only the Easter Bunny and his treats can calm! Either way, we think this list of egg salad recipes might be just the thing needed to try your hand at the “best” egg salad! 13. 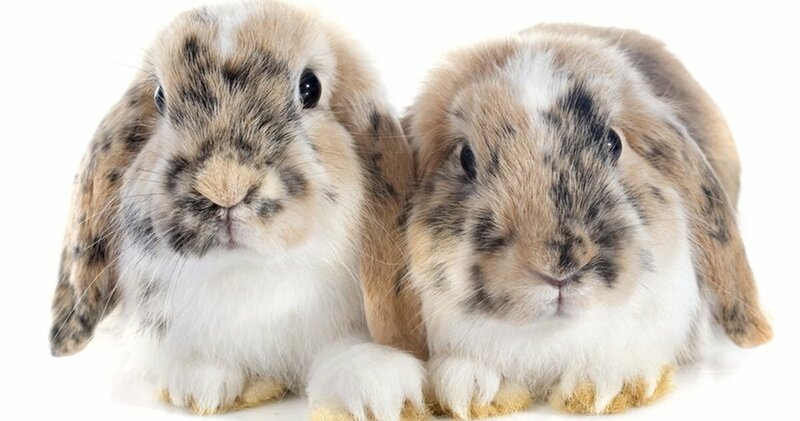 INDIANA: How Many Rabbit Breeds Can You Name? 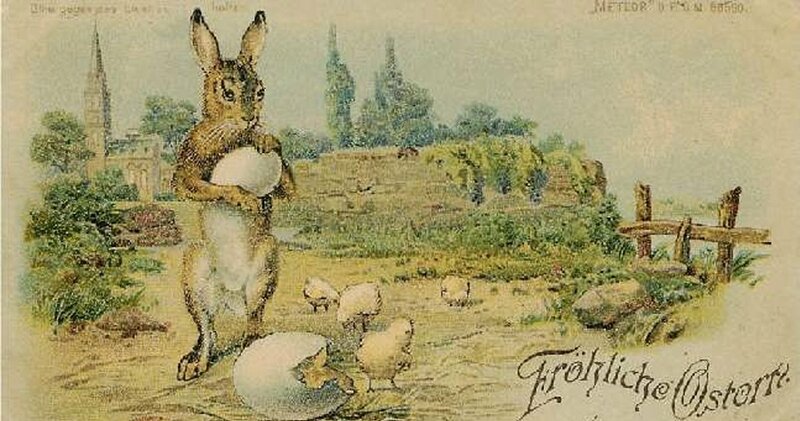 The Easter bunny tradition landed in America in the 1700s with German immigrants. Long associated with the celebration of Spring, these abundant breeders were the perfect symbol of new life. Take an adorable hare and mix it with eggs (their harvest is at it’s peak in Spring) and you have a cuddly tradition that easily passes generation to generation. But folks in Indiana aren’t just researching the Easter bunny, they are more specifically looking up rabbit breeds. (Note: There are 49 different recognized breeds of rabbits!) Perhaps they intend to stuff their baskets with live lagomorphs? (the scientific classification for rabbits and hares) Any excuse to look up photos of cute bunnies is fine with us! Japan used to be the “Easter lily capital of the world” and was the source of bulbs until World War II. Now, a small 12-mile area in California holds the unofficial title. Interestingly enough, while the white lily is commonly used in Spring Easter decorations, the flower itself prefers temperatures about 50F and therefore typically blooms in June for much of the United States! But why Easter lilies in the first place? 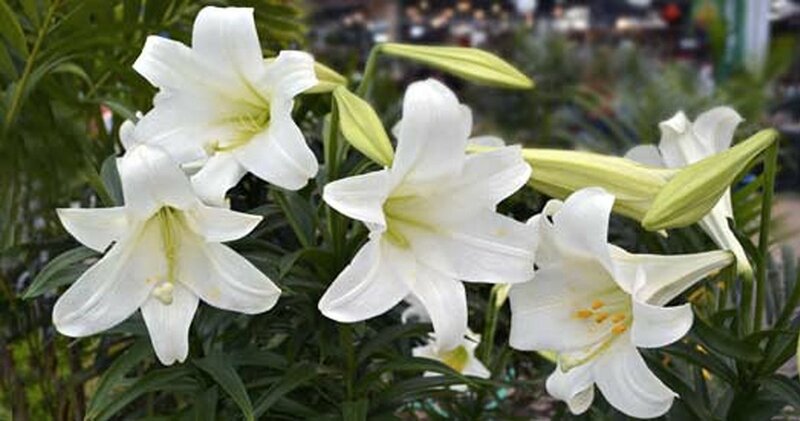 It is believed that the white of the lily signifies the purity of Christ, and the gold pollen-bearing anthers signifies his royalty. Because the flower blooms from a bulb in the ground, it is also significant to the Christian belief of Jesus’ resurrection from the grave. Folk lore holds that as Jesus wept in the Garden of Gethsemane, wherever his tears fell, a gorgeous white Easter Lily grew. Now, this seems a bit far-fetched, but these gorgeous flowers certainly do a great job of reminding us of hope and rebirth! Povitica (pronounced poh-va-teet-sa) is a popular Christmas and Easter tradition particularly in Eastern European countries. It’s roots go back many centuries. This swirled bread is full of a spiced walnut filling and the handmade layers are gorgeous! 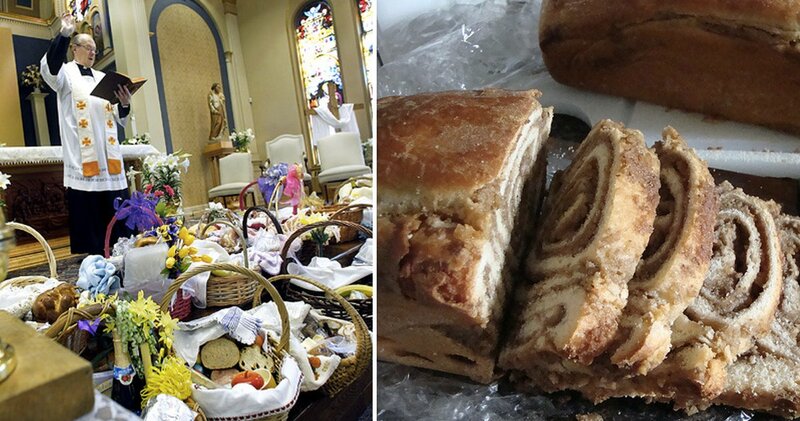 For those who grew up in traditional Catholic homes, Holy Week (the week leading up to Easter) was a time for specialty food items to be collected in preparation for the end of Lent. During this time, the walnuts and spices would be prepared for the povitica to be baked on Good Friday. Often these families would have a basket of Easter Sunday luncheon items filled to have blessed by the Priest on Saturday. Many parishes still hold to this tradition. 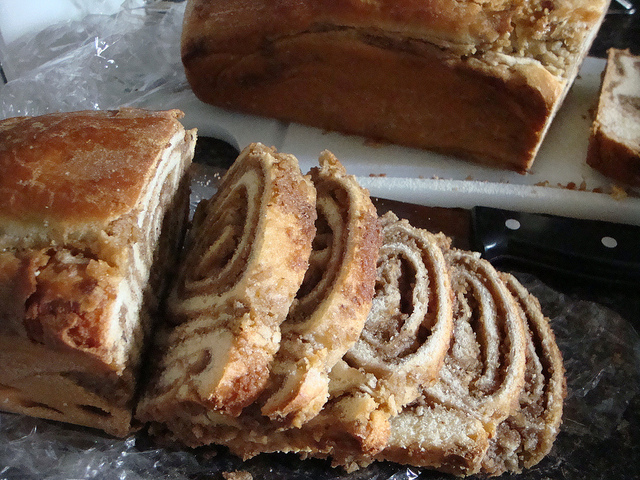 Povitica is one of those special items that many families still enjoy as a traditional item for their Easter feast. What we found interesting was based on family traditions and perhaps the location of where their family immigrated from (Austria vs Poland and so on), the bread can either be savory or sweet! We thought you might like to compare the two, enjoy these povitica recipe variations! 16. KENTUCKY & TENNESSEE: Setting The Example By Asking What Would Jesus Do? 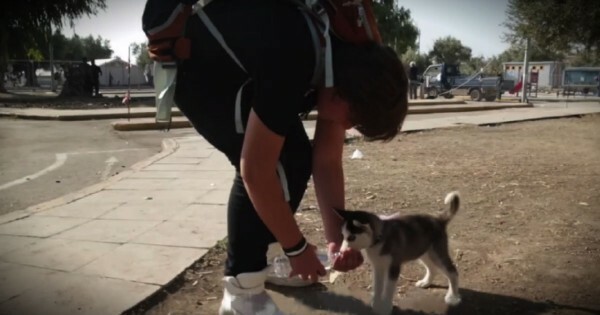 The moral challenge “What would Jesus do?” is often abbreviated to be four simple letters, “WWJD”. This phrase became a personal motto for many Christians during the 1990s. But how did the movement begin? In 1988, a youth group in Michigan began using it as their motto. Their youth leader, Dan Seaborn, was inspired by the 1896 Charles Sheldon Book, “In His Steps”. Dan decided to come up with a small reminder he could give the kids. His hope was to help them be conscious of their decisions and motivations. 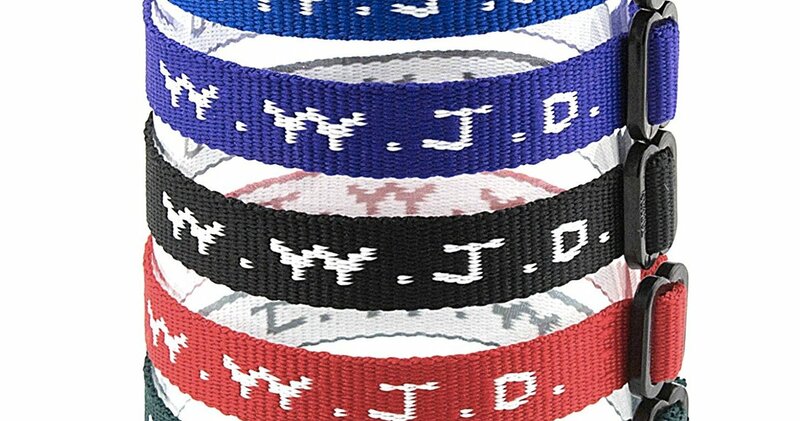 Working with a local advertiser, they designed the WWJD bracelets. As the youth wore these simple reminders daily, it caught the eye and curiosity of fellow students and then staff… the movement spread quickly. Their simple statement quickly grew as the bracelets were suggested to other youth groups, and then spread to other merchandise as well. Worn by Christians and non-Christians alike, the simple 4 letter moniker became a way to make a small change in the world by trying to be a better person. It grew so rapidly between 1988 and 1998 that there was even a television show called WWJD-TV. There, teenagers discussed the issues they were facing and how they were dealing with them! 17. LOUISIANA & NEW HAMPSHIRE & VERMONT: Don’t Miss Church! When is Easter? What Is The Equinox? Easter is determined based on the Gregorian Calendar. The rules are that it is celebrated the first Sunday after the full moon, after the vernal equinox. Anyone confused yet? The Vernal Equinox is noted by the tilting of the Northern Hemisphere towards the sun, which results in longer, sunnier days. Typically this is on or about March 21. Now the full moon that is being discussed is also called the Paschal Full Moon – Pashcal coming from “pascha” which translates as Passover. Therefore, the Christian date for Easter is always AFTER the Passover full moon. Of course, various denominations and faiths mark the Easter at different times. So, perhaps like Louisiana and New Hampshire, if you aren’t sure when those local Easter services are happening, you better call ahead or do an online search! You may remember the shelves of local bakeries being stocked with hot cross buns the week before Easter. Or perhaps the Mother Goose nursery rhyme? 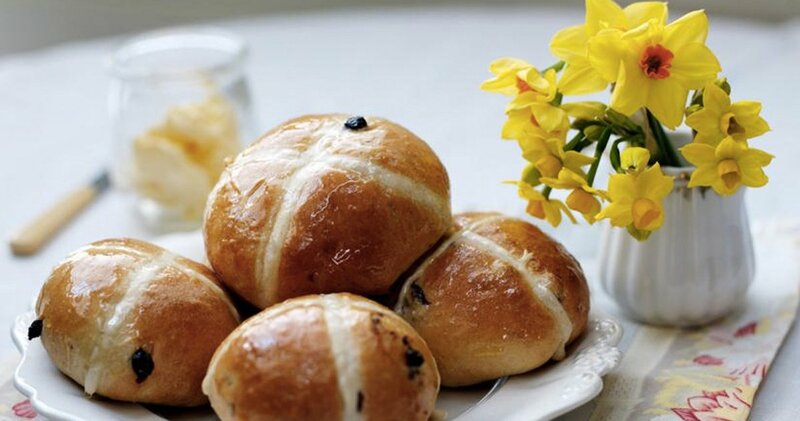 Typically enjoyed on Good Friday, the sweet, spiced buns are filled with currants and a sugar glaze marks a cross on the top. 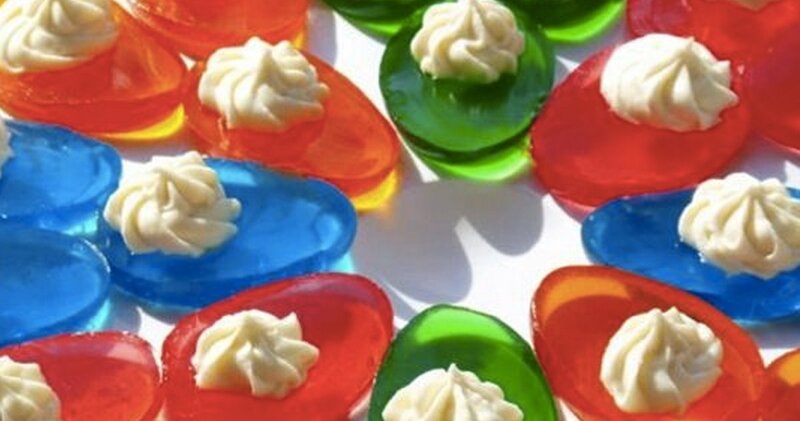 But why are these an Easter tradition? There are many conflicting explanations. One thought is that the buns are enjoyed on Good Friday due to being made with dairy products that are forbidden during the Lent season. Another tradition says the cross cut into the bun is a reminder of Christ’s crucifixion, and the spice as a reminder of the burial. As with most folklore, it was often thought that the buns baked on Good Friday would never go stale and therefore were good luck! Whatever the back story, hot cross buns have been enjoyed since before the reign of Elizabeth I. Sadly, due to the wildfires in California, the cost of raisins and currants have caused the price of store-bought cross buns to soar. But making your own fresh buns is always a great option– here’s a great recipe for the Easter treat! Channeling the famous Chinese-American dish, this twist on a classic is a stunning sweet treat for Easter! The original recipe boasts an omelet-like structure topped with mushroom gravy over rice. In this dessert version, fried pancakes (full of Cadbury egg pieces) are topped with peanut butter “gravy” and set on a bed of rice pudding! 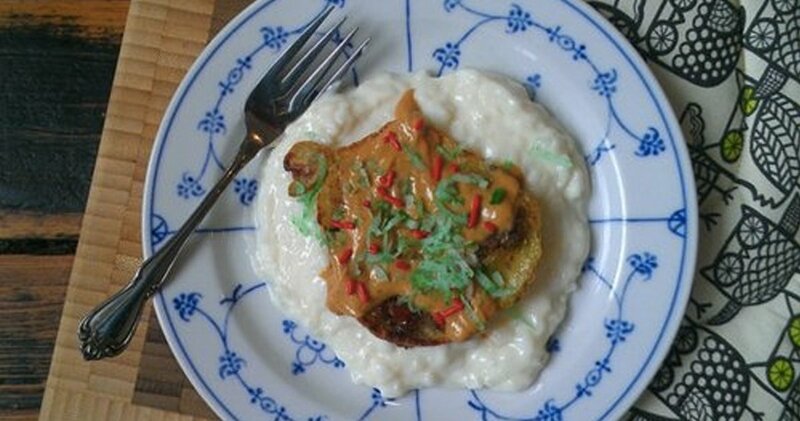 Maybe Marylanders are indeed researching the traditional egg foo young recipe for their Easter brunches, but they might just want to alter that online search and go with the ooey-gooey Cadbury egg version! Yum! 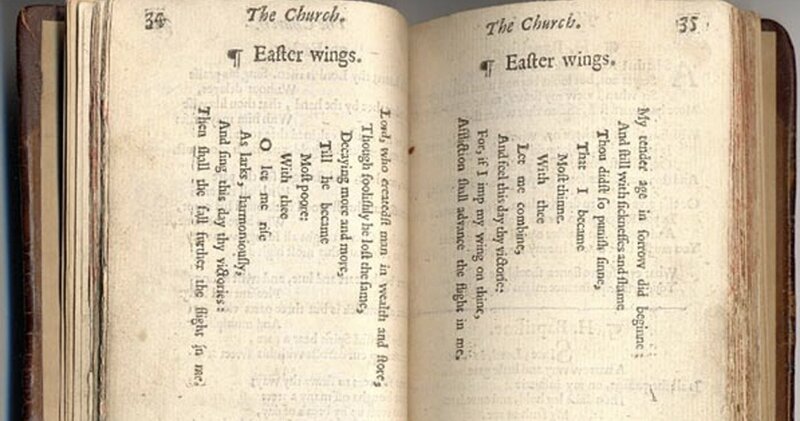 We had never heard of this poem by George Herbert. Perhaps that is why those in Michigan were searching it! 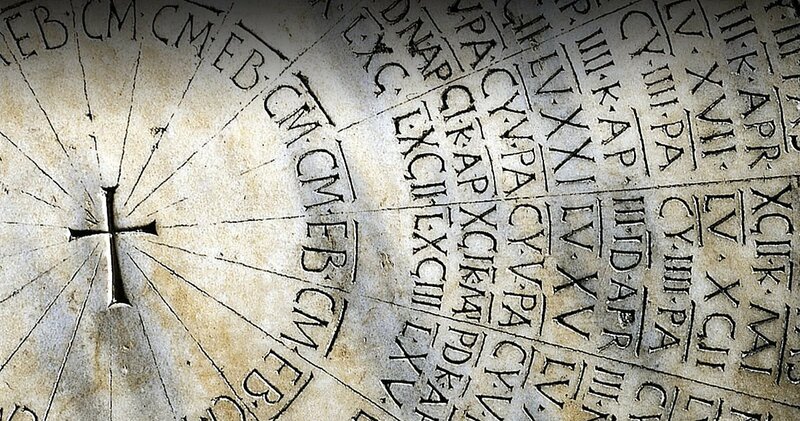 Herbert wrote the poem in the style of the Greeks, with it’s lyrics being both oral and visual. The text of Herbert’s poem is very beautiful, showing deep emotion. Enjoy! Easter has long been a time when family marked the holiday with a new outfit or “Sunday best” in keeping with the concept of renewal and new life. The traditions go back centuries, but the joy of purchasing a new luxury item such as a dress or bonnet at Easter is due to the ending of the fasting Lenten season. As many of our other common Easter practices, the observance of Lent meant a restricted lifestyle. When the season ended, it was acceptable to show off your new finery. Dressing to go to church, attend Easter brunch, or work the cuteness at an Easter egg hunt brings extra time and thought into an outfit. 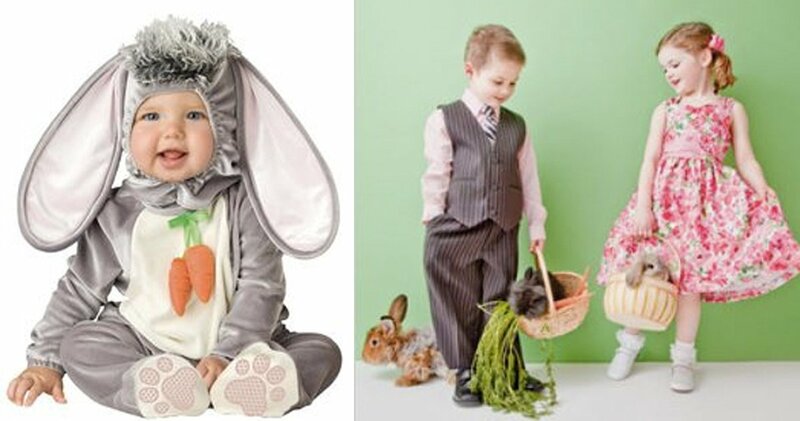 Children love the opportunity to have a special new outfit for Spring that they get to “reveal” on Easter Sunday! Those big puffy Easter dresses are still making little girl’s hearts flutter. Women have a great reason to wear a new hat and show off their style! Bonnets took a bit of a backseat in past years, but it appears with social media and images of the ever-chic British royal family proudly wearing hats for special occasions, there is new interest in this tradition! 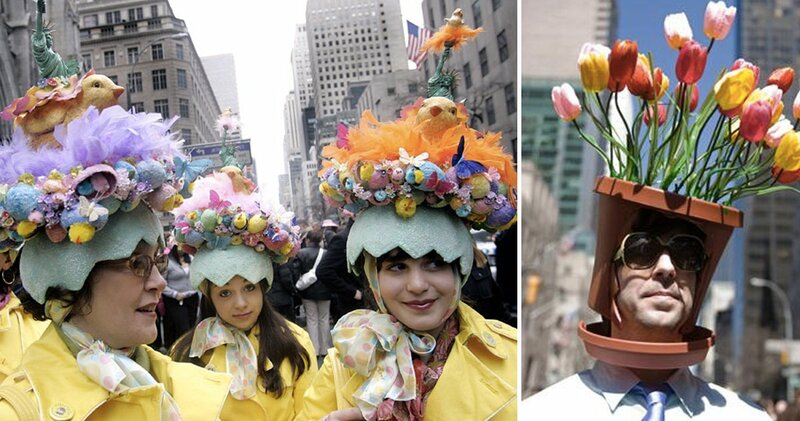 In New York City, the famous Easter Parade And Bonnet Festival are still going strong! In recent years, these bonnets may be a bit more avant-garde however than one would wear to church or a wedding. Often participants create elaborate sun hats topped with full-sized Easter baskets, marshmallow peeps, stuffed animals or plastic eggs! We love the creativity! These folks apparently love their one-liners! 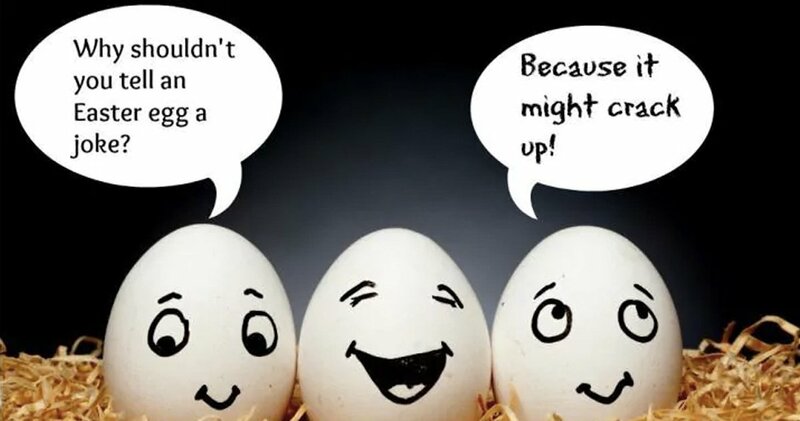 We looked up silly Easter jokes and came up with a few that were too ridiculous not to share. Q: What kind of jewelry do rabbits wear? Every parent loves the chance to embarrass their kids with a goofy quote at the dinner table. And what’s not to love about a seasonally appropriate chuckle? As one of the women who joined Jesus’ twelve disciples (closest followers), Mary Magdalene holds an important place in Christian history. But many confuse her story with other biblical Marys who are mentioned throughout the New Testament texts. She is not the same Mary, sister of Martha and Lazurus, who washed Jesus’ feet. Nor was she the woman in Luke 36 who was “known by reputation”. That same Mary, not Magdalene, also interrupted a dinner at the Pharisee’s house and cried on Jesus’ feet. Instead what we do know about Mary Magdalene is that she was from Magdala, Israel. In Mark 16:9, she is first named, and described as having had seven demons cast from her. There is some debate over this meaning but more scholars seem to agree that it means she had an illness from which she was healed and less likely that she was afflicted by actual spirits. Mary Magdalene was also specifically mentioned as being present at the crucifixion and burial. She is credited with being the first to see Jesus after his resurrection. It was Mary Magdalene who ran to tell the other followers of seeing Jesus risen from the dead. 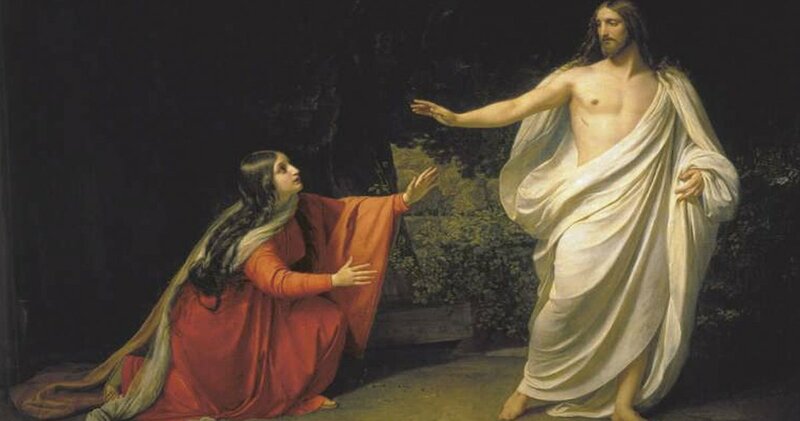 The view of Mary Magdalene being a “loose woman” does not appear to stack up with the (12) Bible references to her. It is more recently agreed that she was mistakenly merged with the unnamed sinner in Luke 36. The concept of Mary Magdalene being a of questionable morals is believed to have stemmed from a homily (sermon) given by Pope Gregory I in 591. Many of the historical paintings we see of her depict this image of a scorned woman, sometimes unclothed. What can be agreed upon is that Mary Magdalene was an important figure in the time of Christ. She was often named first, and it is apparent that she truly believed in Jesus as her Savior. Mary was an example of forgiveness and devotion to the church. The tradition of eggs at Easter has been around for a long time. The egg has long represented “rebirth” or “new beginnings”. Originally Easter eggs were duck or hen eggs, decorated at home, and shared within the family. In the 17th and 18th century, toy makers began designing small toys in the shape of eggs for Easter. By the 19th century, Germany and France began producing solid chocolate Easter eggs. But where did the popularity of Cadbury come? In 1866, the Cadbury brothers developed batched pure cocoa butter. This technique combined their French origins and training with that of the Dutch chocolate press which allowed chocolate separated from the bean, to be poured into a mold. 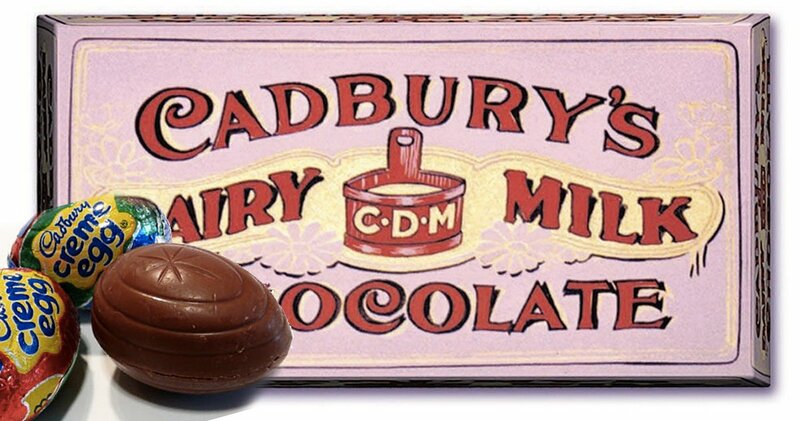 The first eggs were dark chocolate, then in 1905, Richard Cadbury developed their milk chocolate recipe which made the egg sale soar. Many today associate the creme-filled Cadbury eggs with Easter. The shiny foil wrappers and popular clucking rabbit commercials have helped to encourage their sales. We aren’t quite sure where the idea to make our children have photos with the Easter Bunny originated, but needless, we love the memories! 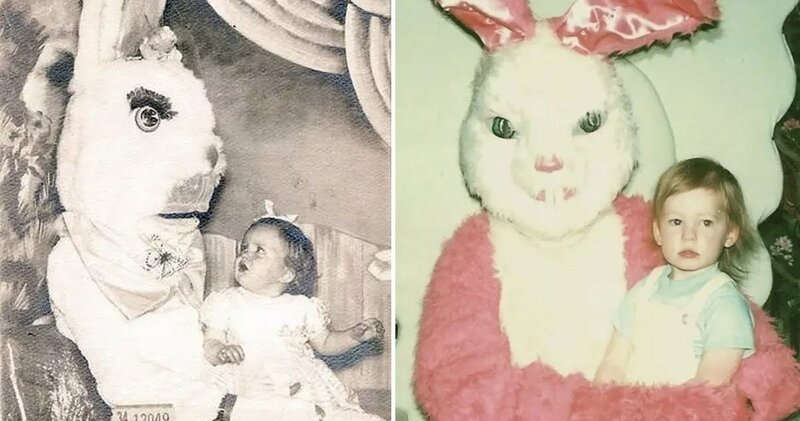 We’re pretty sure every family in the U.S. has had one truly laughable, downright terrible, egg-ceptionally scary Easter bunny photo. Here are some of our favorites to give you a quick chuckle! 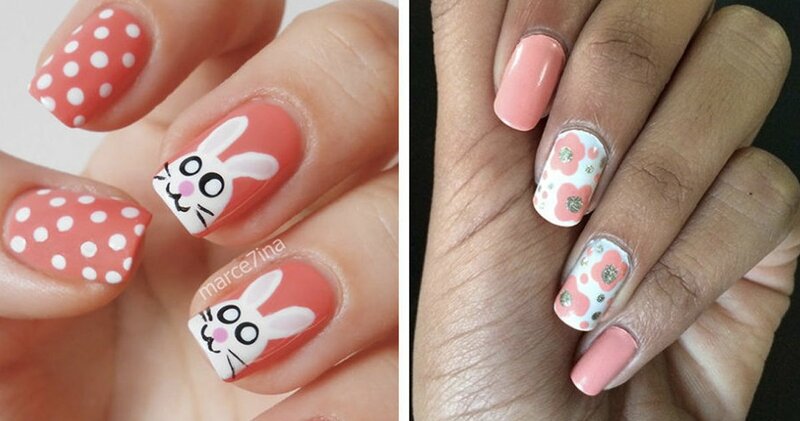 These Bunnies take Easter very seriously! Those eyes! Both of these bunnies look like they may have had better years! 26. OKLAHOMA: Christ Is Risen, He Is Risen, Indeed! The phrase rings true, but for many, it’s not just a statement. “Christ is Risen” is also a contemporary worship song written by Matt Maher. There is no question why this song is a popular worship anthem during the Easter season, especially. With the chorus exclaiming Christ’s resurrection, there is no question why Christians hold this song dear. This was a new one for us. 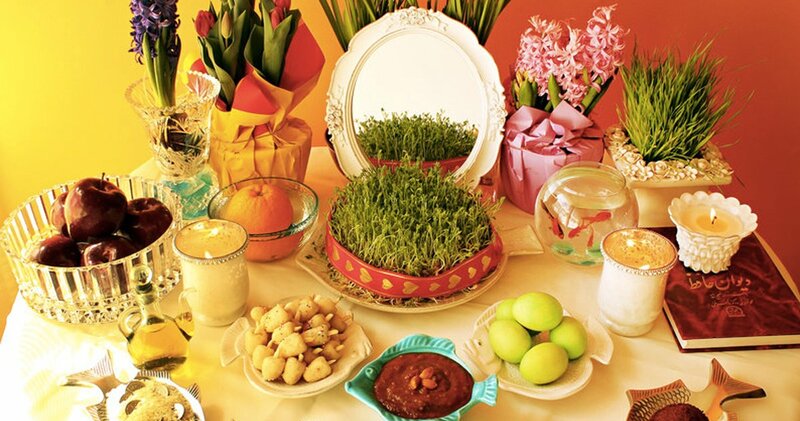 Noruz is the Persian 13-day holiday that begins on the vernal equinox (when the sun crosses the equator). “Noruz” means “new day” in Persian (like our New Years) and the festival is a celebration of just that. When all the beautiful green things begin to poke out of the ground, it’s a reminder of new life and that winter is not permanent! The celebrants mark their festival with a table of seven things, all starting with the Persian letter “s” as a sign of good tidings. While this may be a different tradition than you are used to or choose to celebrate, it is certainly interesting to learn about! Perhaps the idea of marking the coming of Spring with seven things is more similar to our unofficial Spring Fever when we all flock to the stores for new plants, flowers, and bright containers for our gardens! It truly is a celebration of life! 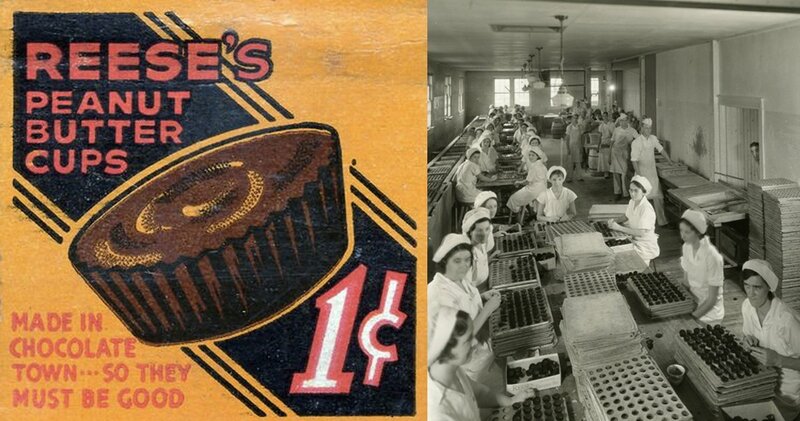 What started out as a “Penny Cup” due to its 1c cost, the treat quickly evolved into the now popular Reese’s Peanut Butter Cup. But in 1928, their creator “Harry Burnett ‘H. B.’ Reese, never could have dreamed how popular they would become or the variations they would eventually see. First came the “Crunchy” developed in 1976. 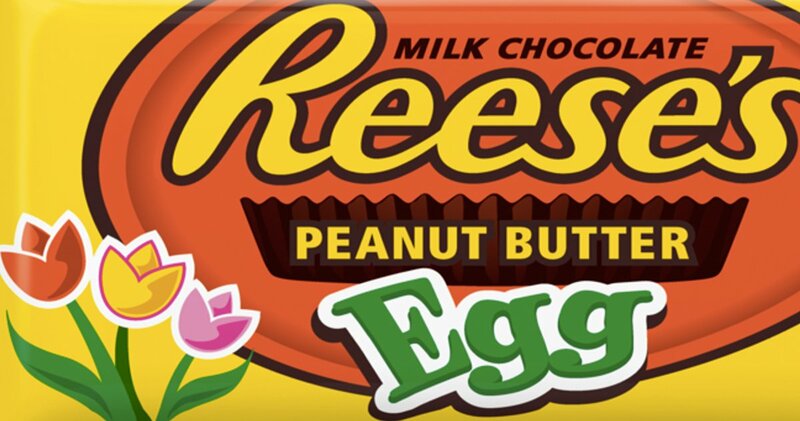 Then followed the ever-popular seasonal Peanut Butter Creme Eggs. 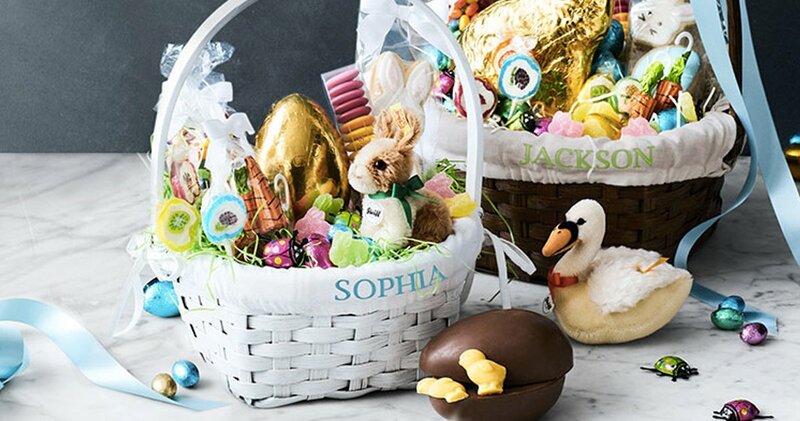 Naturally, they became a sought after Easter basket filler! There are many who will debate that the Creme Eggs are far superior to the regular cups. For a happy Easter, don’t start that debate! 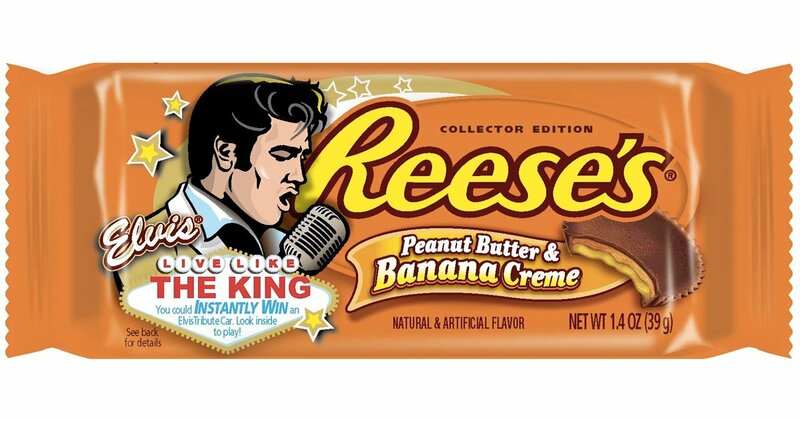 The most interesting variation is “Elvis Cups” which of course, are made after the “King of Rock and Roll”, Elvis himself. Known for his love of grilled peanut butter and banana sandwiches, this treat boasts the same combo! There are few life stories that have captured the interest of so many, believer and non-believer alike, such as that of Christ’s. Hollywood is no exception. There is no denying that Jesus Christ’s life is an example to us all of how to treat others with love and respect. Even those who do not believe he was the Son of God, will often agree that he touched many lives with his teachings. Filmmakers love larger-than-life stories. There is no life story that will compare to that of a babe born in a manger, who grows to be a miracle worker and teacher, then dies on the cross, resurrects and ascends to Heaven! Here are some of the most popular films about the life of Christ. **Note: We are not endorsing any of the films listed here. 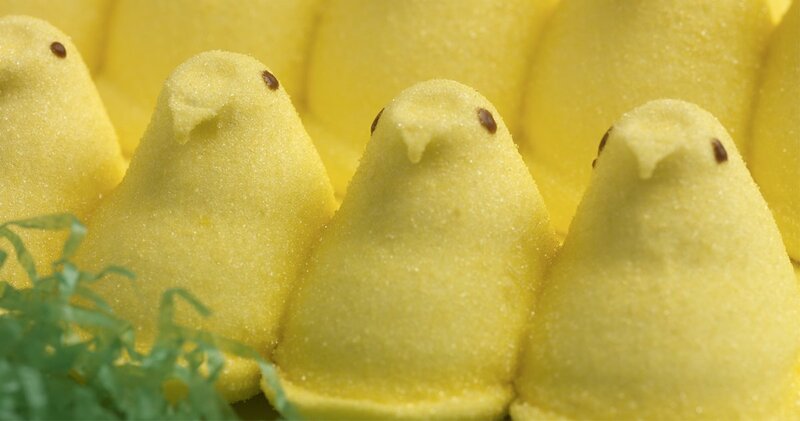 With Easter comes the expectation of those little yellow chicks known as Peeps® marshmallow candy. Of course, as with many loved treats, there are variations and now new seasonal market times as Peeps have expanded into Fall and Winter. The sugary treats are now made by Just Born Inc. based in Bethlehem, PA. The company is named after it’s Russian founder, Sam Born who began the business in 1917. But the Peeps history actually starts a bit later, in 1953, when well established Just Born, Inc. decided to acquire another company, Rodda Candy Company. “But while the family was touring the Rodda Candy Company, in the back part of the factory were these women with pastry tubes squirting these marshmallow chicks by hand,” shared Matt Pye, vice president of corporate affairs. Originally created by hand, Peeps chicks took 30 hours to make due to the marshmallow cooling! It was the Born family who took these chewy treats and found a way to speed the cooling so that each chick took six minutes to make. The little Peeps also once had wings, but in 1955, these were “clipped” to help streamline the process! 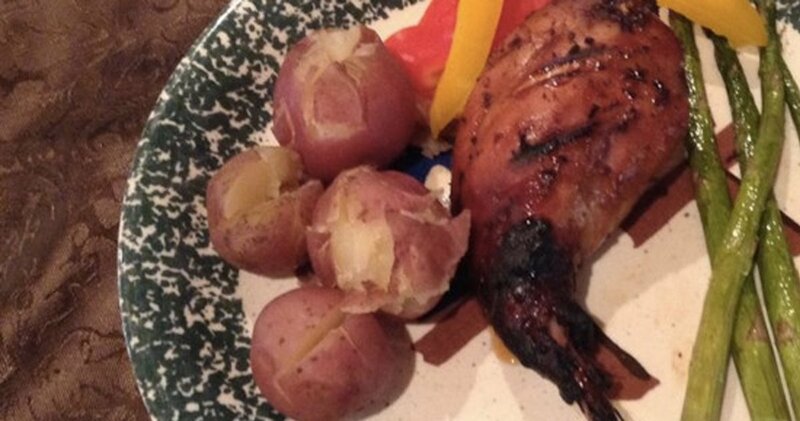 Now there are bunnies, pumpkins, cats, stuffed peeps… you name it, they are coming up with new creations all the time! Peeps tend to be a “love it” or “hate it” treat. There is even a Facebook group established around their dislike of the marshmallow treat! Personally, this writer loves stale peeps and deliberately opens the package and waits for the Peeps to reach the perfect level of crunch… apparently, 25% of Peeps purchasers agree! "Everyone thinks they're the only ones who like stale Peeps," Pye says. He prefers to reference this strain of Peep as "aged" - "like a fine wine" - rather than "stale." Nail art is getting more popular with new options for stronger, longer-lasting polishes. While traditional colors may be more to your liking as a fashion accessory, unique nail designs can be seen on all ages! As society is more accepting of personalization, the possibilities for nails as a creative outlet are endless! 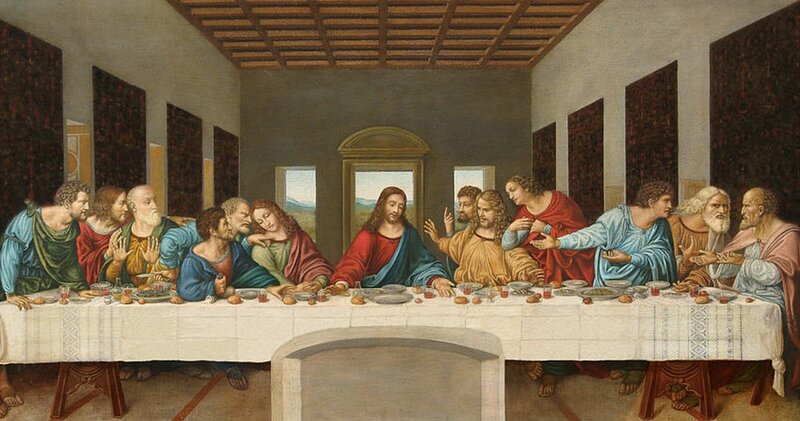 Leonardo da Vinci started his famous painting, The Last Supper, in 1495. It’s amazing to think that after all these years, it continues to hold it’s audience captive. Whether you spend time trying to name all the disciples, or attribute thought bubbles to each one as they are captured in the moment Jesus explains his betrayal– there is so much to take in! Unfortunately, when the project was given to him, da Vinci was new to painting frescos (murals). This was the largest work that he had attempted in his early years. He experimented with beautiful pigments directly on the established plaster. Unlike those skilled in murals, he didn’t mix the colors in with wet wall plaster directly. This oversight has meant that the painting hasn’t fared as well as it should. The Last Supper has been through it’s share of trauma. Twenty years after it’s completion, the painting began to chip and fade. The church was not motivated to preserve it. They cut a door into the painting directly through Christ’s feet which were painted in crucifx-style to foreshadow his death on the cross. 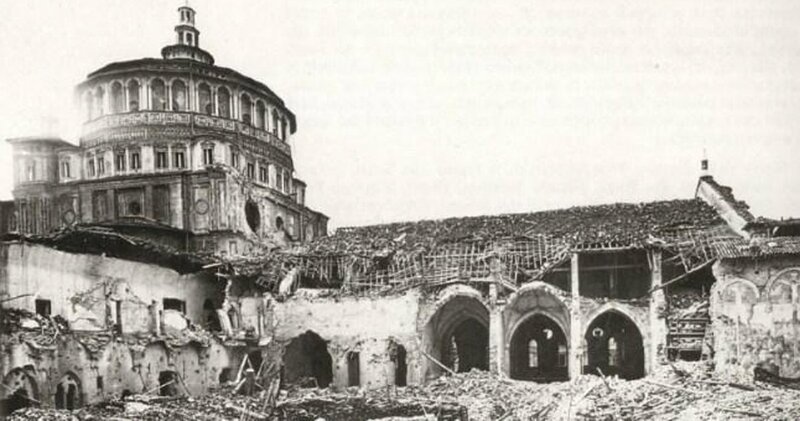 In World War 2, the church was hit with a bomb and miraculously what survived was the wall with the painting! The painting that is viewed today, while mesmerizing, is actually the restored work of Dr. Pinin Brambilla Barcilon started in 1978; only 20% of the original painting is assumed to have survived years of “fixing”. While there are some who dispute the need to have restored the painting again, or whether the x-ray technology used was the best method, it is interesting to note that many small details previously lost have been reclaimed. 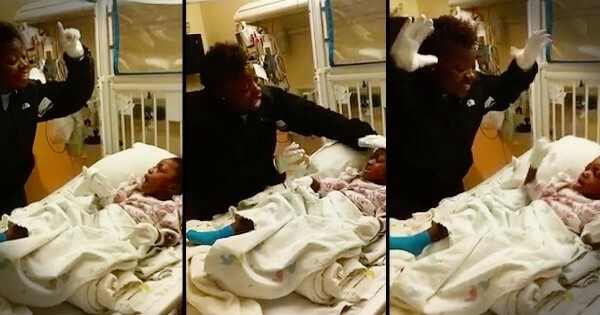 An orange here, a hand or cloth there. It was also decided that what could not be 100% confirmed as Leonardo’s work should instead be painted in beige. Thus, the painting seen today is actually more about reading between the lines! The candle itself is very large. 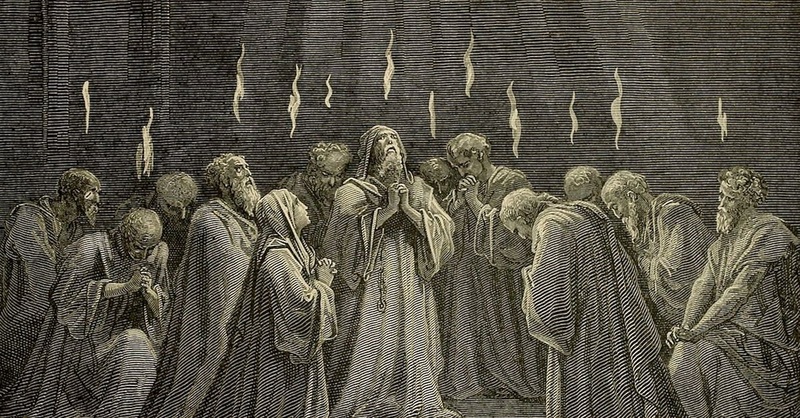 Once lit, tradition has it remain so for the 50-day celebration of Easter until Pentecost (the birth of the new church in Acts 2). The same candle is then used throughout the year and lit for baptisms as a symbol of the Holy Spirit coming through baptism. 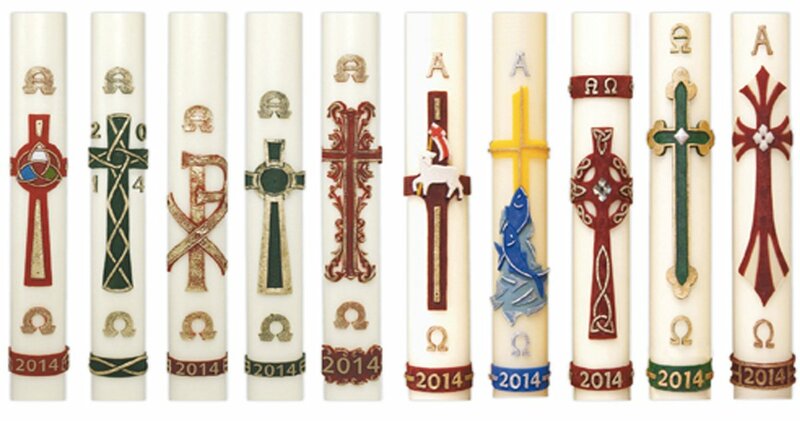 For those churches who use the Pascal candle, it is an important reminder of the death and resurrection of Christ throughout the year. The origin of the jelly bean is debated. The earliest known mention of the jelly bean was by Boston candy maker, William Shaft, who encouraged citizens to send jelly beans to the Union soldiers. Around the 1930s, Jelly Beans picked up in popularity as a treat associated with Easter festivities, perhaps due to their egg-like shape. With chocolates being resourced overseas to the soldiers during WW2, jelly beans again had a boost in popularity stateside until sugar rationing slowed production. 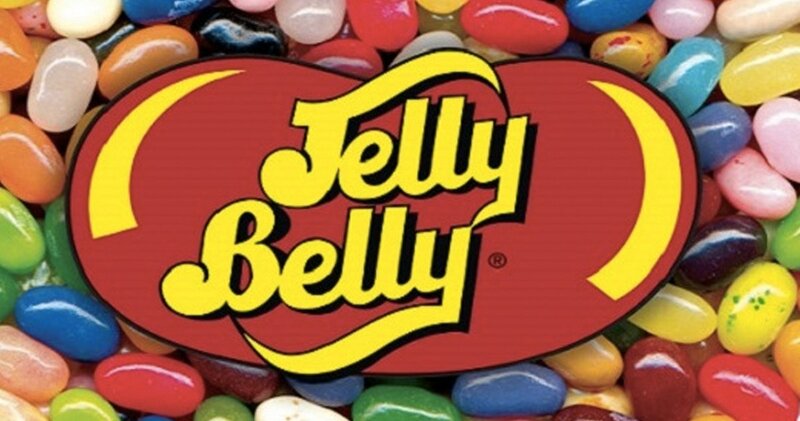 Jelly beans gained a spotlight moment as an unexpected “weapon” when American fans of the popular band The Beatles mistakenly thought the group liked the hard-sugar-coated candy and began to throw them at the stage! One of the British band members even made an official statement in hopes of stopping the unpleasant candy-dodging. George Harrison commented, "We don't like [jelly beans], or fruit gums for that matter, so think how we feel standing on stage trying to dodge the stuff, before you throw some more at us." 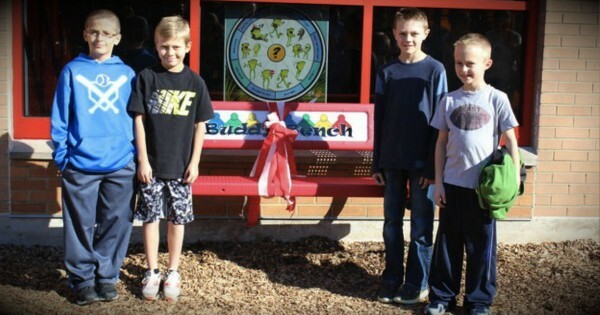 The Goelitz family has been in the candy business for more than a decade. But it wasn’t until 1965 that they started infusing the center of their Jelly Belly mini jelly beans and experimenting with new flavors. In 1965, then Governor Ronald Reagan discovered the candy and began munching in order to kick his smoking habit! 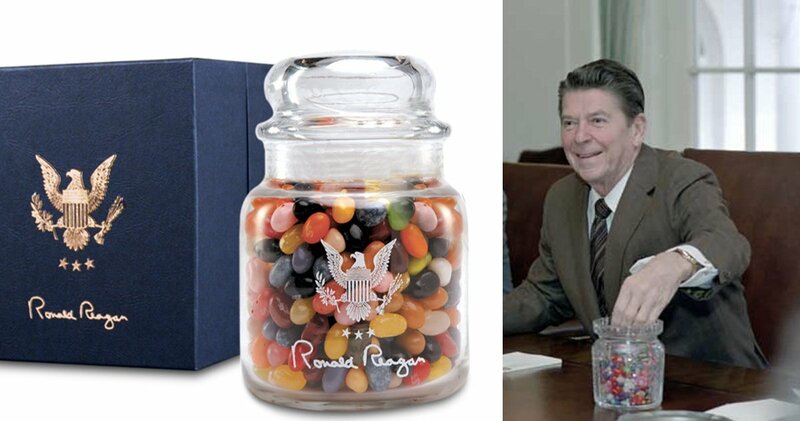 “You can tell a lot about a fella's character by whether he picks out all of one color or just grabs a handful.” ‐ President Reagan on Jelly Belly beans. The first eight flavors of Jelly Belly beans: Root Beer, Green Apple, Licorice, Cream Soda, Lemon, Tangerine, Very Cherry, and Grape. Apparently, these states are confident in their Easter traditions and aren’t surfing the internet for Easter-inspired knowledge! We hope you enjoyed this look into Easter Traditions around the U.S.! There were certainly several things that we had never heard of before and hope that you found something to peak your interest and research more later.